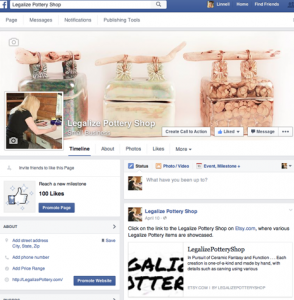 In the 1st part of 2015, while my house was being remodeled, I virtually lived in my ceramics studio. That is, I moved my kitchen table & chairs, refrigerator, microwave, computer, etc. 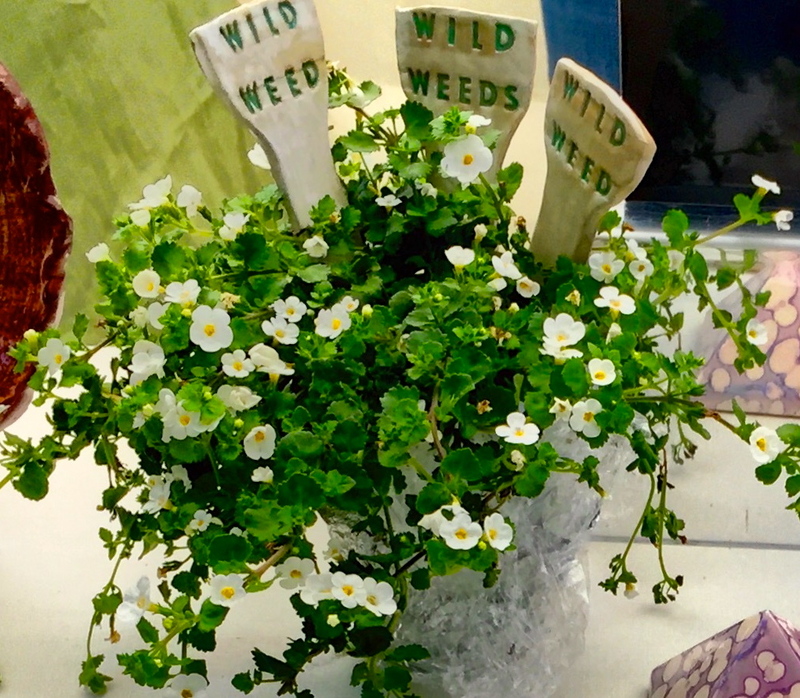 into the Studio, and the Studio is where I did all my cooking, ablutions/make-up, paperwork, etc. At the end of each day, I went back into my torn-up house to watch TV and sleep. This routine was not very conducive to making ceramics. 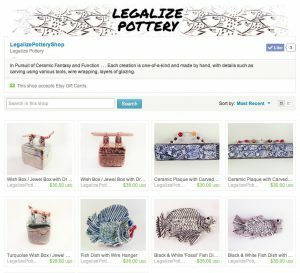 However, I did manage to create a Legalize Pottery Shop on Etsy. To visit, please click on the link! 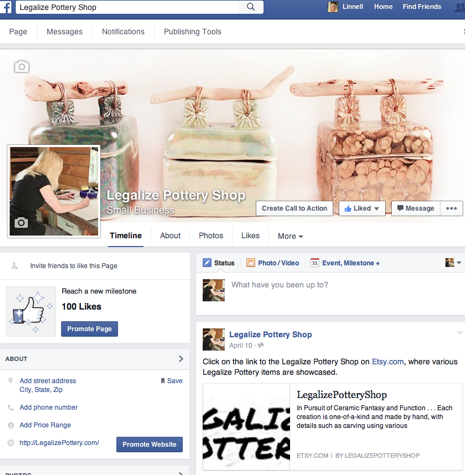 I also started a Legalize Pottery Shop page on Facebook. To visit, please click on the link! By April, some pieces made it into the kiln and came out fairly decent. For a Pop-Up Sale in early June, I got the idea to make a batch of Plant Stakes for Weeds — how appropriate for Legalize Pottery. 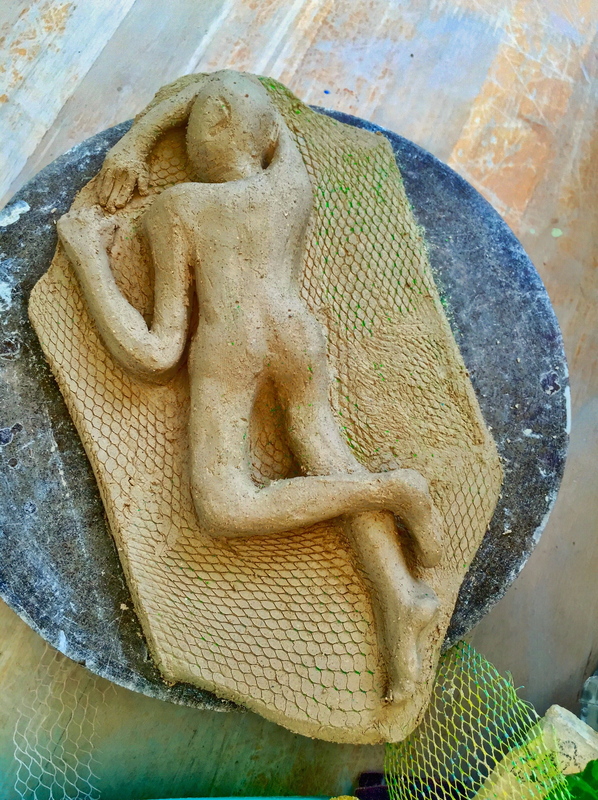 Then, I took a detour into Sculpture — and made a rudimentary human figure. 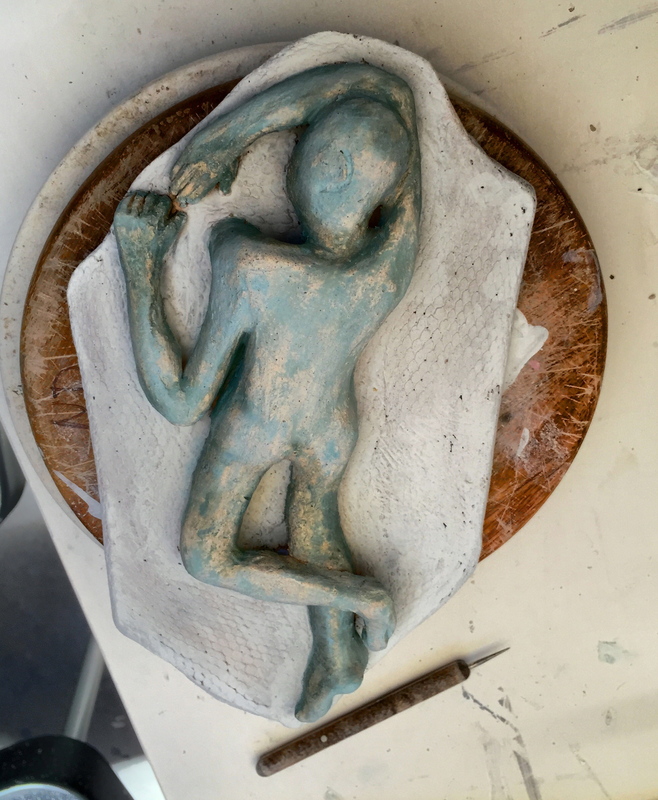 Now, it’s back to the classroom — I’m enrolled at Palo Alto Art Center for the rest of the year, with an awesome instructor/ceramicist named Malia Landis. In the next few months, I’ll be posting the results of that adventure.